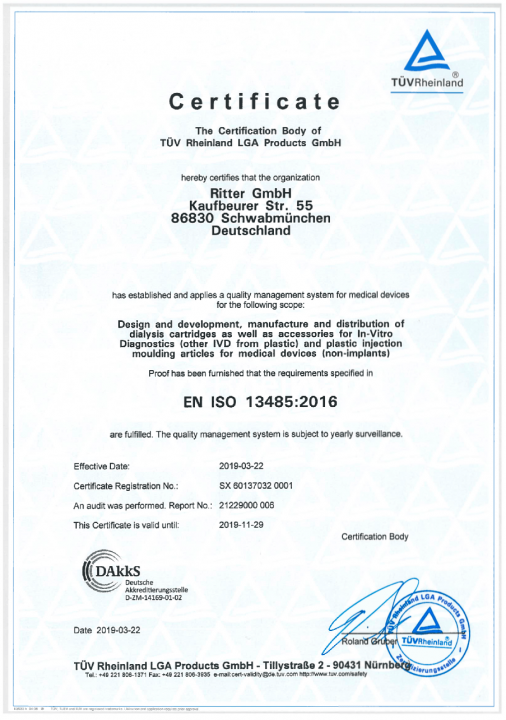 for medical devices according to EN ISO 13485:2016. 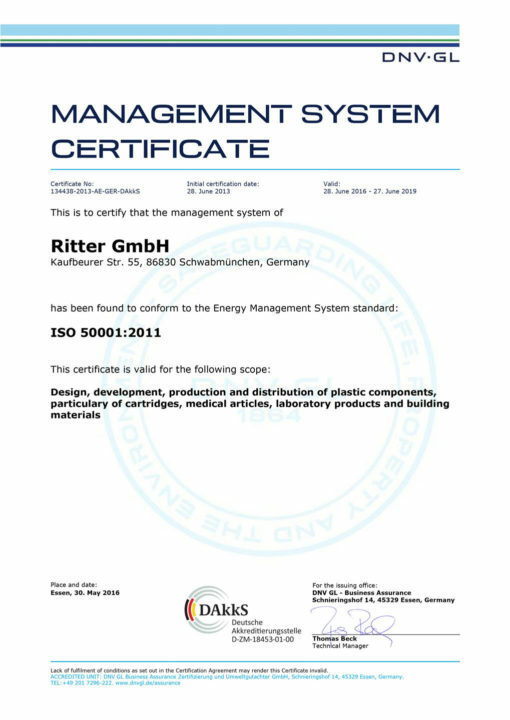 Design and development, manufacture and distribution of dialysis cartridges as well as accessories for In-Vitro Diagnostics (other IVD from plastic) and plastic injection moulding articles for medical devices (non-implants). 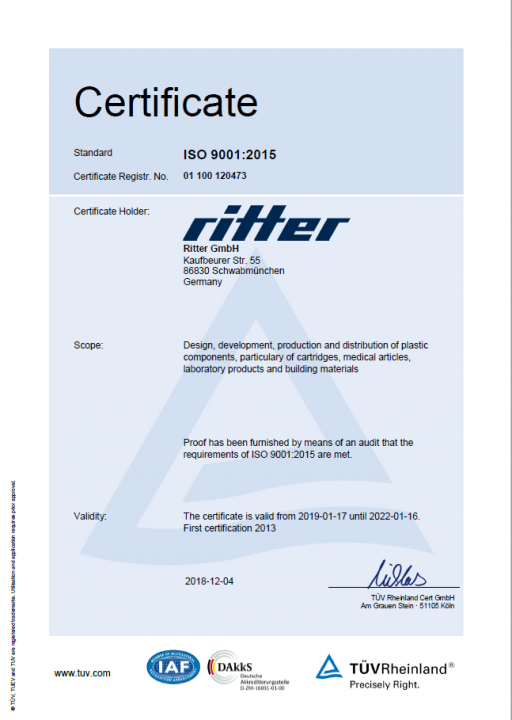 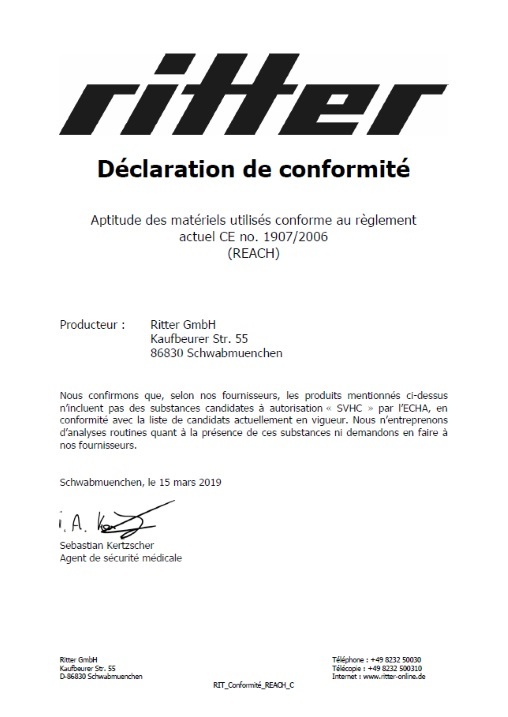 In accordance with ISO 50001:2011, this certificate is valid for design, development, production and distribution of plastic components, particularly of cartridges, medical articles, laboratory products and building materials. 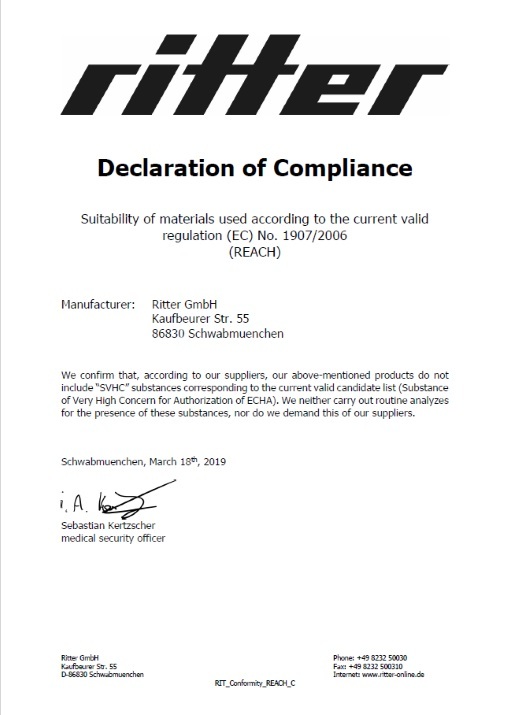 In accordance with ISO 9001:2015 for the scopes: design, development, production and distribution of plastic components, particularly of cartridges, medical articles, laboratory products and building materials.